Carrying on more than 100-year tradition of baking oven construction in Parchim, we also offer stonewalled baking ovens, such as e.g. double-sided firing furnace. We install these conventional ovens according to your wishes and local conditions. As its name suggests, firing is carried out by two lateral burner units, which ensure uniform heating of the furnace. The advantage over the "old German oven" is uniform temperature distribution and absence of necessity in additional cleaning of the chamber after firing. 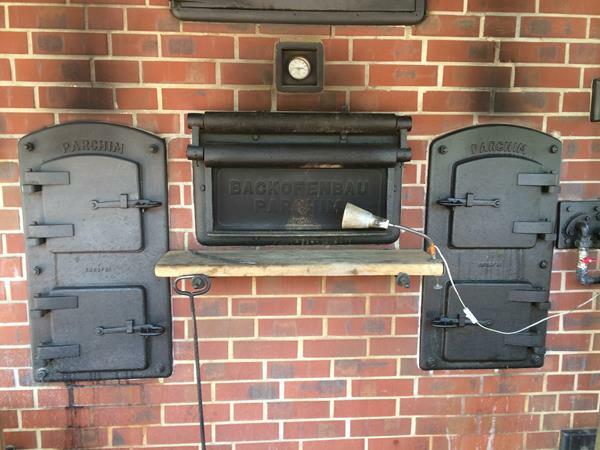 This oven type was invented by Robert Neuhaus, the founder of the Parchimer baking oven tradition. Even today our clients long for goods baked in stone ovens, so these units still have a right to exist.